Birthday Cake in The Villages FL - The Villages Florist Inc. 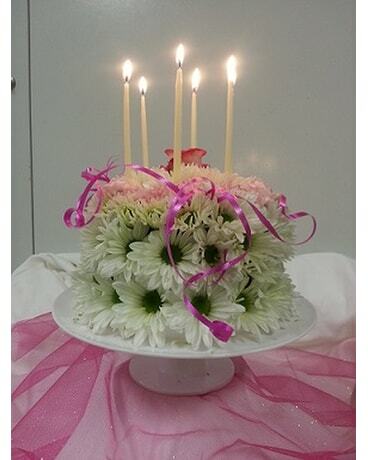 This adorable arrangement is made of fresh flowers in the shape of a birthday cake. It is sure to bring a smile to the birthday celebrant and add to their special day! And best of all, it is calorie-free!